The holiday season is just around the corner and that means it’s time to plan on how to maximize your holiday sales. Events like Halloween, Black Friday, Christmas and New Year bring opportunities that will help you generate more revenue and consequently, more profits. Store owners around the world work day and night to prepare their stores and plan marketing strategies because the last 3 months of the calendar year are worth more than anything. 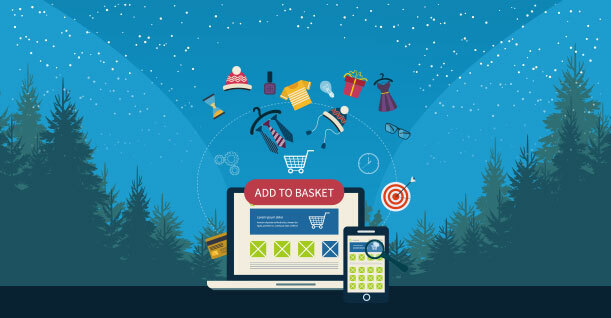 According to Deloitte, ecommerce holiday sales reached a staggering number of $109.8 billion from November 1st, 2017 to January 31st, 2018. This year, it is estimated that this number will increase by 17% to 22%. That’s a lot of money and if you can get a tiny share of this humongous amount, then it’s safe to say that you have successfully used the season to maximize your holiday sales. You must have a certain number of visitors coming to your online store daily and making transactions after buying your products. These visitors know your store and your brand, so they have an idea about what your store is about. Some visitors might just browse your store and leave without buying anything. In this article, I will take you through a checklist of activities that will help you enhance your store so that a better chunk of your visitors end up buying from your store and help you boost sales. Now, you don’t want to settle for what you already have and aim for bigger numbers. There is a huge chunk of customers that you should target so that you can maximize your holiday sales and profits. The second part of this article will focus on the marketing strategies and activities that are relevant to the holiday season and will attract more visitors to your online store. Having a lot of traffic on your online store is great, but that traffic won’t pay your bills. Converting that traffic to boost sales is important and also, not easy. Your online store must be fully optimized on all ends if you want a decent conversion rate. Here is a list of crucial activities that you must perform to optimize your online store. Remember the last time you visited a website and it took more than a second to load. You probably closed the tab because who has the time to wait for a slow loading website. Making your visitor stay on your website for just about long enough is the first step in improving your conversion rate. According to KissMetrics, a 1-second delay in your load time can result in a 7% decrease in conversion. Also, if your store is making $100,000 per day, a 1-second delay in load time can cost you $2.5 million in sales. You might not know this, but there may be a lot of visitors coming to your website this holiday season and not buying anything because they don’t trust your store. These visitors are skeptical because they don’t think their information is safe with you. Once your visitors have developed in your brand, there is nothing that will stop them from making a purchase from your online store. Of course, trust can’t be built within months. It takes years to create a brand that your customers can trust. However, there are some tweaks that you can make to your store that portray your store as a trustable brand. These techniques will improve your store’s trust score and will help you boost sales. Yes, product descriptions are important ( and we will cover those too later ) but nothing can compare to a great product image. 67% of online shoppers prefer product images as the most important part of their decision-making process and place them above product descriptions and customer reviews. The key to having quality product images is to not rely on third-party images. It’s time to stop using Shutterstock and other stock image providers and start creating your own content. A good camera might not come cheap, but it’s a good investment nonetheless and can help you boost sales. If you want to increase your holiday sales this season, you might want to double check on your navigation bar. 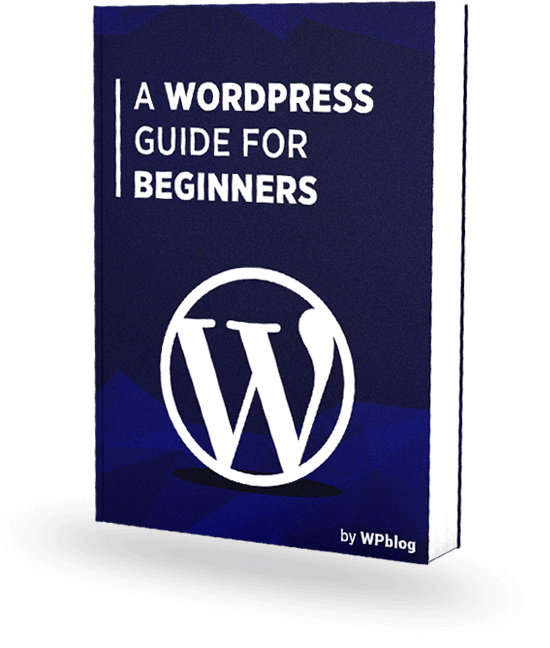 Your online store should be easily explorable by your visitors and that will only be possible if you have a navigation bar that is simple and uncluttered. The point is, your visitors should be able to easily find the product they need on your online store. If your store requires your visitors to make the extra effort to explore your product categories, then they might bounce and make their purchase from a different store. Keep it simple: Don’t stuff your website with navigations. Only display the ones that are most important for your visitors. Keep those elements that add value to the overall user experience of your store. Place them at the top: Make sure all your navigations are at the top. This is because readers follow a pattern when they explore a website. Having your navigation bar at the top will help them explore your site more easily and will boost ecommerce sales. Your store should not only have enough products on it, but it also must have enough information for your visitors. Having an FAQ section on your online store is a great way of transferring all the necessary knowledge to your customers so that they can make an informed decision. This also helps you to build trust with your customers as they would feel that you are considerate about them. In addition, FAQs gives you the opportunity to use keywords on your website. This helps you rank your online store on Google which increases your organic traffic and ultimately your holiday sales. As mentioned earlier in the article, your website needs to easily explorable if you want to increase your holiday sales. Having a great search functionality is sometimes more important than having a good navigation or a clean interface. Many of your potential customers might not have the time to browse through the categories, especially if you have a lot of them. The search bar allows visitors to just type in the exact product they want. If you have it on your website, they will check it out and if you don’t, they will leave. It’s a great time saver which is why many visitors just look for the search bar as soon as they land on your online store. Having said that, it is also important that your search bar is highly visible and is not hidden somewhere in the corner which is essential to boost commerce sales. Cart abandonment is a huge problem for many online store owners. We constantly see long discussions on ecommerce forums on how to solve this matter and often people are looking for the best solution which will eradicate this problem forever. There is not much you can do about the shipping costs and taxes as they are mostly not in your control. However, you can pretty much fix all the remaining elements of the checkout page. The first thing you should do is make your checkout process less complicated and quick. 27% of online buyers abandon the shopping cart because their checkout process took too long and was far too complex. An easy checkout process with fewer steps can reduce your abandonment rate and increase your holiday sales. Also, 24% of online shoppers abandon carts because they couldn’t see the total cost of their purchase. It’s surprising that such a basic element of a shopping cart is also often missing. Make sure that your customers see that total amount they have to pay for a product, including the taxes, shipping, and other charges. Converting visitors already on your website is great, but that’s not enough to boost sales. There is a huge pool of people who are looking for your products in the holiday season and you need to cash in on those. These holiday marketing tips will help you attract more potential visitors to your online store which will increase your holiday sales. As the holiday season approaches, start designing images, videos, and other visuals. Create new graphics and transform your brand’s voice that it sits nicely with the holiday spirit and share them across your digital channels. Make sure these visuals are engaging and eye-catching which will also ensure engagement. Many big brands feel the need to transform their theme to suit the holiday season. Coca Cola, HBO, Starbucks, and HubSpot are some brands that have a prominent presence in the digital world during the holiday season, through their amazing visuals and graphics. Your online store, social media cover photo, email template, blog banners, and everything and anything you can think of, should be redesigned to fit the holiday theme to boost sales. 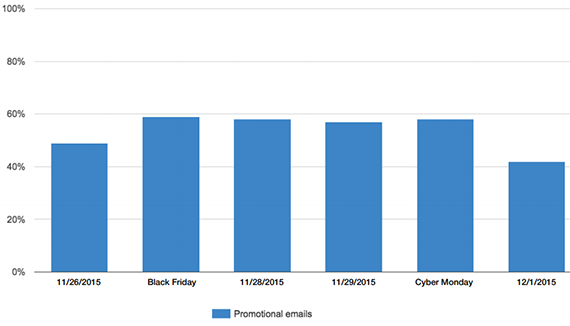 Holiday season and email marketing go hand in hand. Your email marketing campaign determines how successful your holiday season will go and how will it impact your holiday sale. One of the biggest reasons why email marketing is so important is because people are more accepting towards promotional campaigns during the holiday season. Stats show that the period between Black Friday and Cyber Monday are the most lucrative and they are perfect to boost ecommerce sales. Try to send as many promotional emails during these days as there is a big chance that you might get a lot of customers. The graph shows that most promotional emails are sent during this time period which is all the more reason for you to step up your game. Hashtags are essential if you want to amplify your content’s reach. During the holiday season, many obvious hashtags trend on twitter like #HappyHolidays, #MerryChristmas, #NewYearsEve which you should definitely use. Apart from that, try creating hashtags that revolve around your campaign. Anthropologie, a women clothing and accessories brand, used this technique to get their customers to interact with the brand. They started a campaign where the brand played Santa Clause by randomly gifting people their favorite item. People had to post a picture of their desired product with the hashtag #dearanthro and they were selected for the gift. It proved to be a hit and the hashtag got 5,500 entries and it was a big hit during the holiday season. Using this hashtag technique might not directly impact on your holiday sales but it will certainly have an effect on your brand. All these days can get you small wins which can turn into bigger revenues through your holiday sale. Create and design your email marketing and social media marketing campaigns around these days. People love to read stories about brands. Tell your visitors, leads, and customers about your success over the year. Share the story about how you have grown in terms of a number of customers. And while you are sharing your success, don’t forget to thank your customers for the part they played and how grateful you are for their trust in your brand. Again, it’s not a selling technique and won’t dramatically increase your holiday sales. It’s about how you want your customers to perceive your brand. People tend to be more giving during the holiday season. Charity work boost during this time and you can get involved as well. Starting a fundraiser is a great CSR activity that will highly improve your brand image. Many brands start such activities not necessarily to boost sales but as a branding campaign as it has a long-lasting impact on the brand image. People participate with more zeal in such activities and remember it for a long time. Who doesn’t love giveaways? Start engaging people with your brand and giveaway products in return. 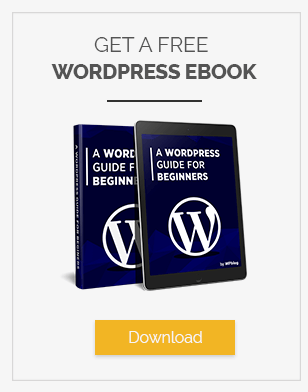 The simplest giveaway technique is to ask people to share your content on social media and they will be randomly selected for a free product or a product bundle. Similarly, you can ask people to perform multiple activities which will increase their likelihood of being the winner. Gleam is a Giveaway tool that you can use to create your giveaways and record entries. 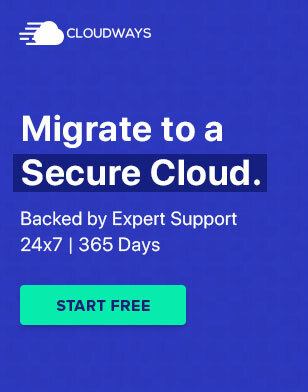 Cloudways, a managed cloud hosting provider, held a successful giveaway last year where they gave away more than $17,000 worth of products. You can use the entries from your giveaways and re-target them to boost your holiday sale. This is that time of the year when you have to use all your creativity and come up with ideas that will bring you more holiday sales. For example, you can offer free shipping on a certain amount of order from your store. This will encourage your customers to buy more so that they don’t have to pay shipping because everyone loves FREE SHIPPING! Another idea to increase your holiday sale is to offer discounts on bundles. Create bundles of different products that compliment each other, and offer a certain percentage of discount on it. This will improve your sales, average order quantity and many other metrics which you use to gauge your store’s performance. If there is content that is guaranteed to produce results, it’s video content. Videos are the most shared content on social media and you can use it to your advantage this holiday season. You can create a video about how Christmas is celebrated in your office and how your employees spend Christmas. This will give your customers an insight into your brand and everyone loves to watch this type of content. Another good idea of a holiday video is a message that your brand wants to give to your customers. Create a compelling message that is shareable and has the potential to go viral. The holiday season is a great time to amplify your holiday sales and reach closer to your sales targets. You can create everlasting campaigns that will take your brand newer heights. The key is to plan ahead and start before anyone else does. Most store owners start their holiday campaigns in October or even November, which is way too late because your competitors might even be starting to generate results from their campaigns. The ideal time is to start planning in July and execute in September. The above-mentioned checklist and tips are some proven ways to boost your holiday sales. If you know a strategy or idea that is missing from this list, let us know in the comments.